I’ve been powering through Diamond League with this killer Impfinity deck. I win 9 out of 10 matches and the only way a plant hero beats me is when I draw very bad and/or they draw incredibly lucky. And example of this would be the rare occasion I draw too many tricks and high cards, Solar Flare playing Kernel Corn at the exact right moment, or a hero like Captain Combustible or Green Shadow getting very lucky with Espresso Fiesta. Wall-Knight and Citron don’t have a prayer. 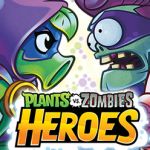 All other plant heroes are going down most of the time. The heart and soul of this deck is Toxic Waste Imp. 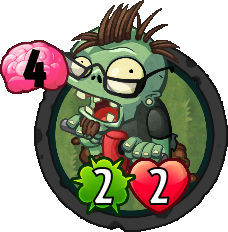 Since nearly every zombie you will play will be an imp, this little guy makes every zombie on the board deadly. And he’s harder for some heroes to kill since he is amphibious. Always put him in the water lane. My favorite start to a game is using Impfinity’s Triple threat super power to create 2 imp clones. Then Toxic Waste Imp on turn 2. 3 deadly zombies on board is a nice start for the first 2 rounds of a game. There are many other nice scenarios, but this one is the best. This card is double nasty when your best friend, Toxic Waste Imp is out. He gets one deadly fire at any plant on board, knocking it off by doing just one damage. Then he’s left standing there waiting to to 4 deadly damage in any lane. He’s also a hero if you’re off to a bad start. He gives one plant zero damange for a round if he’s not deadly. This was a recent weekly event card, and you can not run this deck without 4 copies of him. If you get off to a bad start, Imp Commander can come to the rescue. 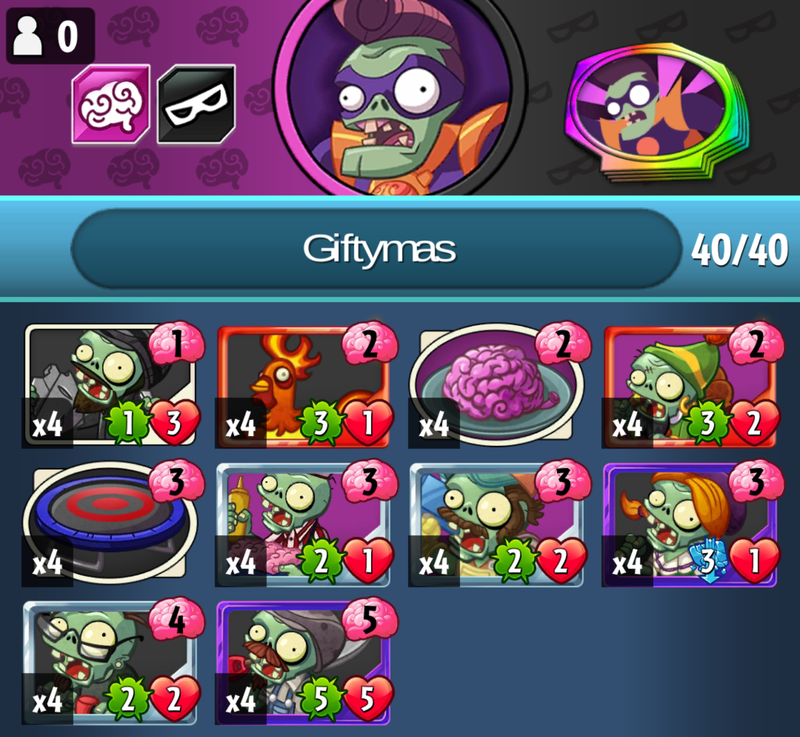 Try to get any imp on board to hit the plant hero and draw a full hand. Then you can fill the board during later rounds. 4 Pogo Bouncers are super important. 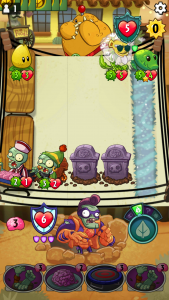 If you happen to have something really nasty on the board like a Sharktronic Sub, they can move the plant out of the way allowing for massive damage. Hot Dog Imp’s strike through is especially important against Shroom for two and team up lanes. He’s especially nasty when he’s deadly. Bye Bye Wall-Nuts and Water Chestnuts. I just killed you, and the plant behind you, and hit the plant hero with my deadly strike through. 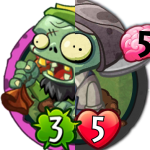 Even if the plant hero keeps using tricks to kill your Toxic Waste Imp, You will still have one super hero power to turn all zombies deadly, Commander to keep you from running out of cards, and a few tricks up your sleeve when all else fails like Cakesplosion, Backyard Bounce, and the Chickening. This is a rush Impfinity deck, but it still wins if you can’t pull out all of the early moves. 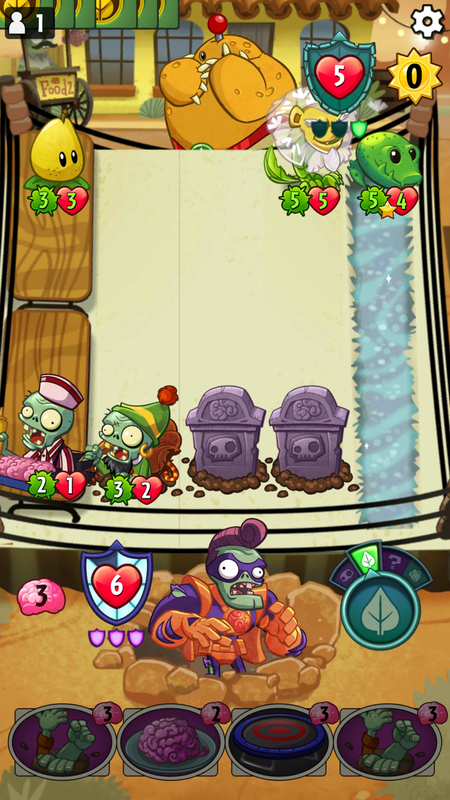 You still have 2 Imp-Throwing Gargantuars (very nice when they toss deadly 1-1 imps out when your buddy, Toxic Waste is on the board), 2 Sharktronic Subs, and your 1 get out of jail free card, Zombot Plank Walker. 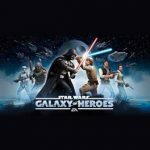 Thanks to the improved rewards for Galactic War, I thought it’d be helpful to share my galactic war advanced tips! Turn meter (TM) is most crucial mechanic you must understand in order to succeed at Galactic War(GW). At the end of every encounter, each character’s TM is preserved. When you begin the next battle, each character will have some pre-loaded TM. Essentially, this gives each of your characters a “head start” and you absolutely should take advantage of this. The best way to take advantage of this mechanic is to pre-load TM on 1-3 backup teams. Figure out your second- and third- best teams. Then, use them on nodes 1-2 or 4-5 to get them extra TM. Along with TM and protection/health, the other state that persists between GW nodes is skill cooldowns. Pay attention when you are using powerful skills! Don’t waste them when there are only 1-2 opponents left. It would often be better to save these skills and have them available at the start of the next battle. Certain teams (especially Zader/EP lead or Droid teams) have a huge initial burst, but poor basic attacks. By sending in a suicide squad of your weakest characters, you can eat up all these nasty specials. Mix and match your suicide squad with different junk characters to try to draw out as many of these abilities as you can. Don’t be afraid to force-close the app if you get an undesired result. You should be careful to avoid giving the enemy team too much TM though. With a given leader, you will always get the same results taking the same actions. That means you’re going to get the same crits, same dodges, etc. Get 0/5 stuns from your EP? That’s okay, just shift one of your basic attacks to another target. It can sometimes be helpful to shift minor actions to non-optimal choices just to change the RNG. If all else fails, swap your leader. For a long time my “all else failed” GW team was Old Ben / Daka / RG / Lumi / Lando. Painfully slow battles, but this team could basically take on any team in the meta without losing a single character. This team took a lot of bogus actions (Old Ben basic, Lumi basic, etc). Thanks to that I could manipulate the random seed to get maximum stuns & dodges. And that about wraps it up for my galactic war advanced tips! Did I miss any that you’ve found? Which ones helped you the most?